Cañada College offers the best and most cost effective way for people in our community to launch their careers. Our career education programs provide our students with the skills necessary to successfully pursue a career and build better lives for their families and community. Career education gives students the hands-on, practical training needed to earn a certificate or Associate’s Degree, and open the door to a rewarding career or get them started on the path towards a Bachelor’s Degree. Career education programs at Cañada College are the smart and affordable way to get the valuable skills students need to compete in today’s fast-changing job market here in Silicon Valley. Industry experts who have worked in their fields teach our classes, and we have internship and externship programs for most of our programs to get our student’s feet in the door in a new career before they even graduate. The Cañada College campus fosters a learning community for like-minded students to develop the skills they need for the careers they want. We are higher education for today’s new-collar jobs, and this is not just learning-by-learning, this is learning by collaborating, by exploring, and by doing. Coursework in our programs utilize work-based learning and Cooperative Education courses to develop industry-specific skills that students need to have to either further themselves in their current careers, or dive headfirst into new ones. The students in our career education programs at Cañada College graduate prepared for the workforce, and have the option of transferring on to a 4-year college or university if that is the route they chose. Our programs give students both options! The Promise Scholarship covers all student fees and textbook assistance for the first year that a student is enrolled. The NOVA Workforce Investment Board offers services for employers and employees seeking promising career opportunities in San Mateo and Santa Clara Counties. 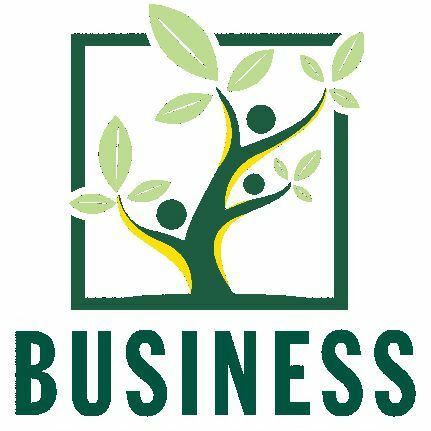 The Small Business Development Center hosted by College of San Mateo provides free 1-on-1 counseling services and low cost workshops for current and prospective business owners in San Mateo County. Provides business management guidance, networking opportunities, one-on-one consulting, business workshops, and facilities to students in the San Mateo Community College District. CCCE offers Bay Area organizations a trusted and affordable partner for customized training through our Corporate Training Solutions services. The College Connection Concurrent Enrollment Program is designed to provide current high students the chance to have an “early start” on their college experience, and earn college credits for free. Reach out for personalized help! Cañada College students have the skills you are looking for. Our career education programs prepare students with in-demand skills needed for today’s workforce. Curriculum is developed in partnership with local employers and industry partners to ensure that our students graduate and hit the ground running with a solid foundational skill-set paired with industry-recognized credentials. Below you’ll find ways you can get connected with Cañada College and our students. Cañada College utilizes the College Central Network for our Job Board. Both students and employers must register with the system before using the network. The Career Center can help students search for jobs, prepare cover letters and resumes, and practice interview skills. Our job and internship fairs, along with our online job board, connect local employers to our students. The Cooperative Education is a working partnership between the student-employee, the college, and the employer which enables students to earn college credit for learning on the job. Cañada College has multiple advisory boards unique to specific career education programs. Our Advisory Boards meet yearly to discuss current programming, and to identify opportunities to further enhance students’ experience to meet the changing needs of the labor market. Our students are eager to join the workforce. If you would like to host a small group of students from one of our career education programs, please fill out the form and we will be in touch.